Beautiful small double bed with attractive tongue and groove details in headboard and footboard. A great bed for boys and girls of all ages. Includes a pair of single drawers under the bed. 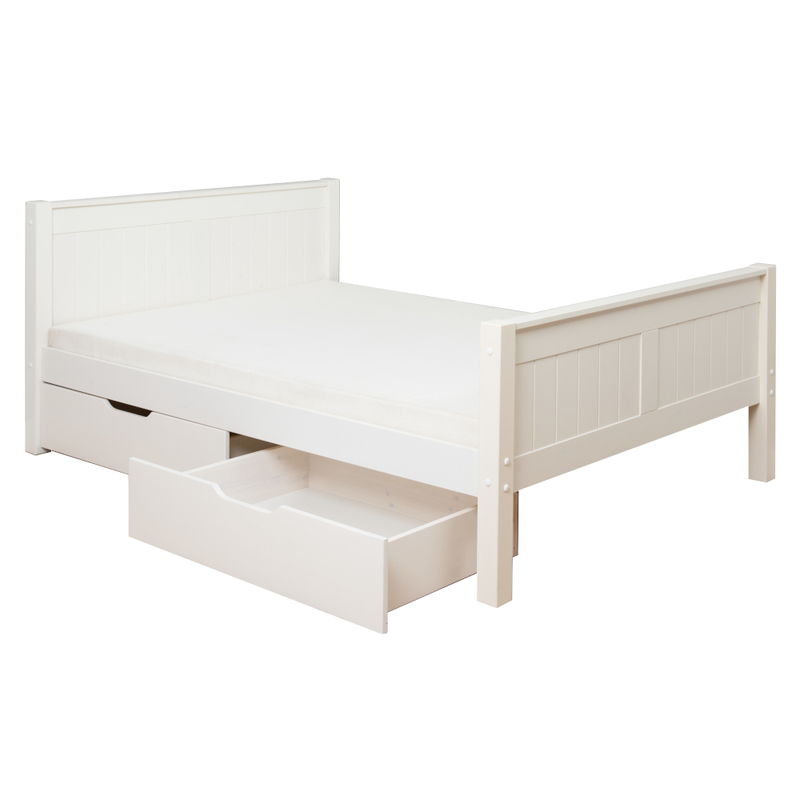 Includes Classic Small Double Bed Frame with a pair of Single Drawers. Small Double Bed Frame H850xW1284xL1984mm. 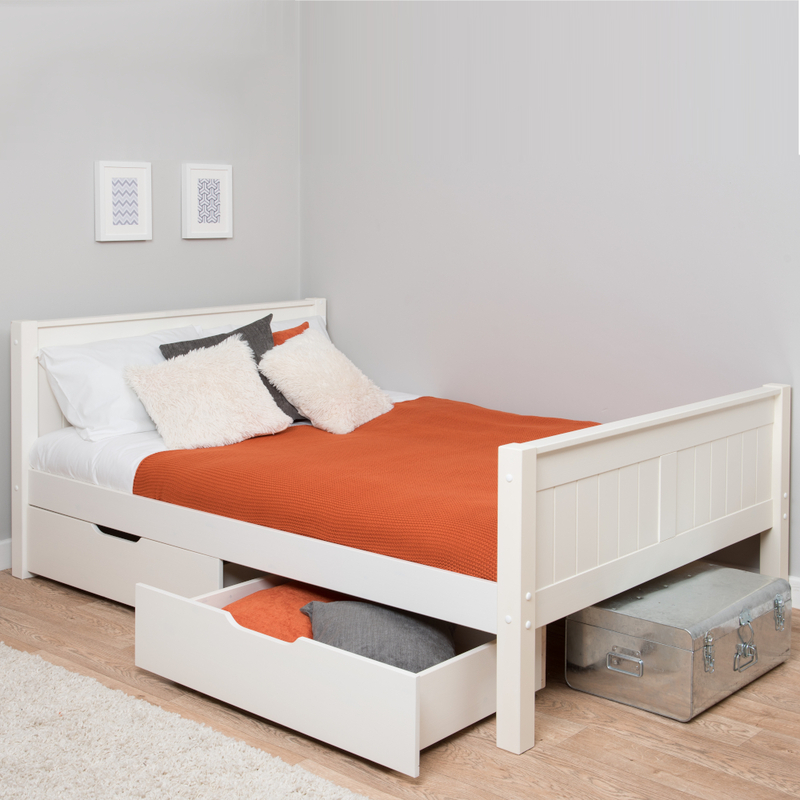 This bed takes a 1200x1900mm mattress - see our Stompa mattress options available.